Paris Vegan Day Celebration Begins! Paris Vegan Day weekend has begun! The “City of Light” kicked off Paris Vegan Day with a pre-party and the French premiere of the film Vegucated. There were vegan treats and bubbly for all courtesy of Deborah Pivain and the team from the Gentle Gourmet Cafe. 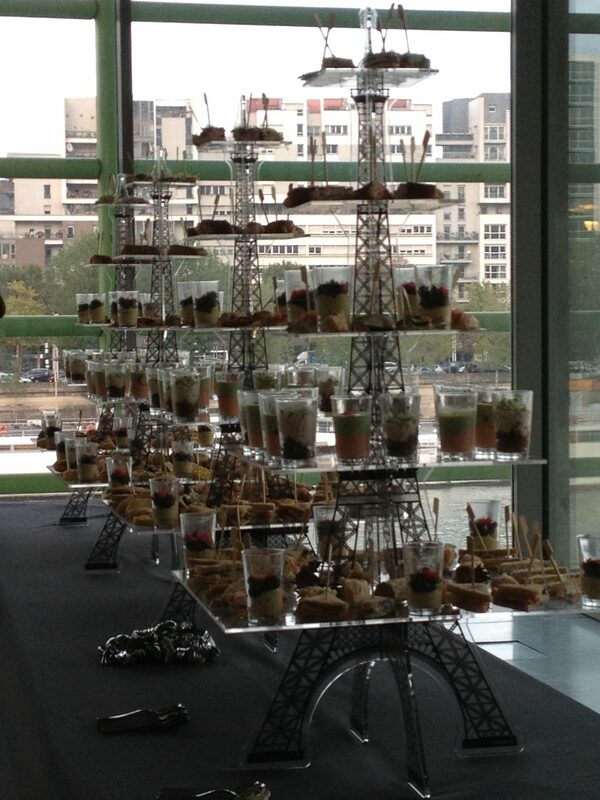 Check out the spread on the Eiffel Tower trays! My favorite was the vegan chocolate mousse! For a complete list of food and fashion vendors, visit the official Paris Vegan Day website.